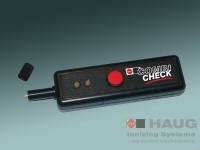 The Static Meter is a small hand-held field strength meter with digital display for measuring electrostatic charges in Volt. It perfectly combines easy operation with accurate measuring technique. The Static Meter measures charges according to the field influence principle C: The influenced charges, caused by electrically field, generate an alternating current proportional to the electrical field strength. The selective amplifier converts this value into the corresponding field strength or electrical potential  without withdrawing energy from the electric field over the averaged time. The Static Meter I electrofieldmeter is a small hand-held field strength meter with digital display for measuring electrostatic charges in Volt. It perfectly combines easy operation with accurate measuring technique. 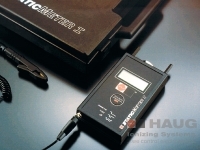 The field intensity meter Statometer II is either available with analog or digital display. 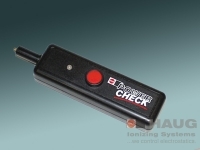 It is intended for the measurement of electrostatic charges, fields and potentials. This convenient measuring unit is a precision instrument which is suitable for use both in the laboratory and directly at the machine. 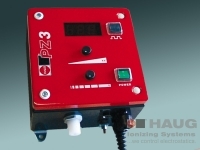 The HAUG field intensity meter Statometer III is a consistent further development of the previous field intensity meter Statometer II. It is intended for the measurement of electrostatic and slow alternating fields. 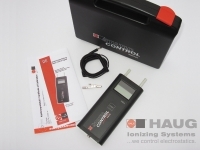 The field intensity meter Static Control is a reasonably priced and convenient measuring instrument. 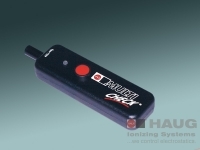 Using a latching On/Off soft key and two additional soft keys for the measuring ranges 0100 and 01000 kV/m, the Static Control is very simple to operate. 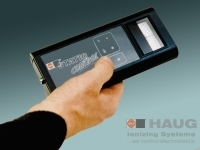 The Digital Static Control makes measuring electrostatic charges easy and secure. 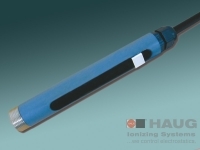 The meter has a wide measurement range of 0 - 2000 kV/m. The operation is done with a single button. With the HSM LED its possible to install an optical monitoring of the ionization system at a well observable point. Performance testing of power packs and ionizing units (Combicheck). 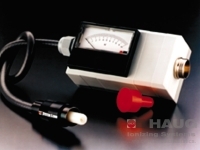 The high-voltage test unit Combicheck is a performance testing unit for HAUG power packs and HAUG ionizing units. 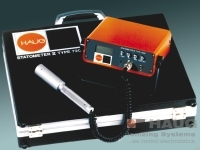 The high-voltage test unit Powercheck is a performance testing unit for HAUG power packs. 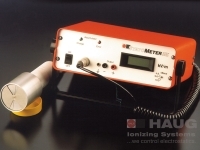 The high-voltage test unit Multicheck is a performance testing unit for HAUG ionizing units. The PZ 3 perforation counter is mainly applied in the manufacturing of plastic bags. The contactless detection of perforations allows the number of bags/batches to be determined and indicates when the material rolls need to be changed.